Cody is Haudenosaunee and Lakota, Sioux. His mother is Dawn Martin-Hil, a Mohawk professor at McMaster University and the first indigenous woman in Canada to get her PhD in cultural anthropology. His father is Lakota, Chief Arvol Looking Horse, 19th generation keeper of the White Buffalo Calf Pipe from Cheyenne River Reservation. Chelsea Jane Edwards is from Attawapiskat on the west side of James Bay. 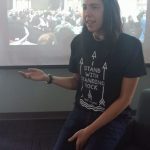 She is an indigenous youth activist and ambassador, founder of Shannen’s Dream, advocating for educational equity. 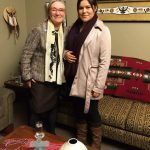 Chelsea has represented indigenous issues at the United Nations, been a speaker at WE Day and provided guidance and input to Teach for Canada, Free the Children, First Nations Child and Family Caring Society, the Office of the Provincial Advocate for Children and Youth and the Ontario Premier’s Council on Youth Opportunities. 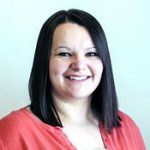 She has two years experience as a guard with Nishnawbe-Aski Police Service and received a Diploma in Policing and Security Foundations.